At this point I don’t know how we’d ever go back to insurance. Being a Samaritan member has spoiled us. The thought of being on insurance sets my nerves on edge, even if the premium happened to be cheaper than our family share rate, which doesn’t sound like that’s ever likely to happen. Samaritan’s wait time on the phone is shockingly low. Even during their busiest times a long wait with them is about 5 minutes. Not over an hour like with insurance companies. Usually I wait less than 60 seconds. How can you beat that? Monthly cost is much less than insurance. Currently about 1/3 of typical insurance premiums offering a worse deductible. “Deductible” is much less than insurance. A personal responsibility of $300 that can be reduced to nothing? Astounding. Compare it to $4000-$12000 insurance deductibles and you can’t believe your eyes. If you ask someone at Samaritan if something is shareable, they can actually tell you. Unlike insurance who constantly told me they didn’t know until I filed a claim. Gee, thanks for nothing Mr Insurance Rep. I waited on the phone over an hour to be told you don’t know and can’t help me? Samaritan has the answers and there’s no guessing game. I like that so much. I don’t have to be angry as a Samaritan member. I don’t have any battles over miscoded treatment, test denials, treatment denials, or frustration over feeling like a number instead of a person. With Samaritan I’m not only a person, I’m a child of God and I’m treated as such. The difference is night and day. Samaritan introduces me to the needs of others. The monthly newsletter takes me outside of my own world view and shows me that others have a need and I can help with my monthly share and my prayers. It’s personal, and grounding. I can have a relationship with Samaritan. They genuinely care about their members. I won’t lose sleep at night worrying about costs or bills. Samaritan is there for us. Even for the really big or drawn out bills. Over and over I read member stories about how simple the sharing process is, how supportive Samaritan staff are, how helpful they are with getting reductions if needed, and how quickly members were able to pay off all their bills. What else could we really ask for? Samaritan follows biblical principles and stands with Christ. Its a solid foundation I believe in and can count on. Insurance stands only for profits. Samaritan’s website is simple, and their online account area actually works. Unlike the ACA website which blows up and puts our financial lives at risk. Samaritan’s guidelines are online in a readable typeface and of reasonable font size, and it doesn’t try to confuse me. Busy work is easier. 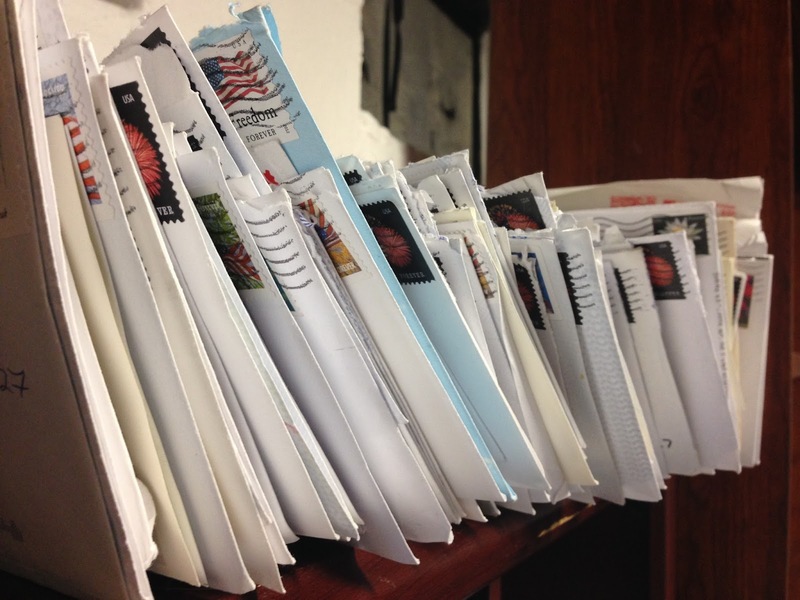 Need to update your address or remove/add a family member from the membership? No problem. With insurance it apparently takes several months, a paper blizzard and an act of Congress to accomplish anything. My doctor doesn’t have to ask permission from anyone else to treat me (only I have to agree). This shouldn’t be such a big deal but with today’s insurance environment it really is. Watch the look on your doctor’s face when you tell him/her “you don’t report to an insurance company when I come see you.” Your doctor gets to be a doctor instead of an insurance secretary/pencil pusher. Other members could probably add to this list, but I truly feel spoiled by this ministry for the reasons above and more. The sad thing is everything should work this well and this logically. The simple truths and honest helpfulness of Samaritan shouldn’t be a surprise or a rarity. Yet they are. For that I am even more thankful to have found this ministry and had the good sense to join it. I came across this testimony/review of another Samaritan member’s experience on the program. This one is especially helpful because it answers the questions about what happens when big events like cancer appear on the radar. The author’s husband had cancer and went through the entire process without health insurance. He was treated at John’s Hopkins and felt blessed to be treated at one of the top cancer hospitals. They met people during treatment who had to delay or skip some tests and treatments because of insurance denials. She described that as “unthinkable” to them as they went through treatment’s of their own. They were thankful that with Samaritan if you need an MRI you get it. If you need a PET scan, you get it. There’s no middle man, no waiting, no fussing. She mentions that the bills are over $200,000 now and they’ve never thought twice about the ability to pay them. She did have a rather funny recanting of the hospital calling them weekly for insurance information and when told they don’t have insurance, but if they could just send the bills to the house they would be paid. “They would reply, “What? Send the bill to your house?” The billing department was not prepared to do that, but I think they should get used to it…” I imagine the surprise felt on the other end and it makes me smile to think of all those big bills getting paid with no insurance processes. She points out that some of the checks are larger than the standard family rates because churches and other organizations are using Samaritan for their staff, so that does help cut down on the number of checks you process, although it would still be a lot with bills that high. She has a picture of several envelopes they’ve gotten, and in addition to the checks members have sent gifts to brighten their spirits, including a gift card to go out to dinner. I was frankly so heartened to read her story because it reminds me again how Samaritan members are there for the small needs and big ones, AND they offer spiritual support with their cards, letters and even gifts. It’s remarkable to me and so unlike the headaches and frustrations that insurance offers. Thankfully the author’s husband is in remission (Praise God!) and they are obviously so pleased with their experience doing it all as Samaritan members. Samaritan reaches 50,000 member households! 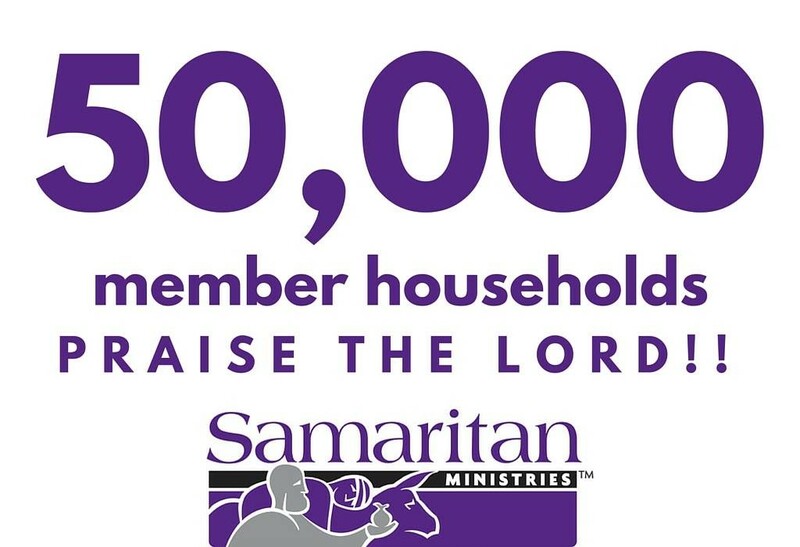 Samaritan has reached 50,000 member households today! Woohoo! This ministry is growing by leaps and bounds, and it looks like this could be another very busy open enrollment season with people getting their new premium increases and choosing to do something different. I have been hearing so many stories across the internet about people getting insurance letters to re-enroll in their insurance plan and “oh by the way” the rate has gone up 30-50%. I am amazed at what people are being asked to pay for insurance premiums, some of them well over $2000 for a family with a huge deductible. Who can do that? And how is that considered affordable? Samaritan shared about $14 million in needs last month, there are a LOT of happy households who are getting their medical bills shared and not being stuck with huge deductibles or premiums. I’m excited to be able to share this great ministry with others and look forward to even larger growth during the coming months.